How to determine who sees private feedback given to an employee. 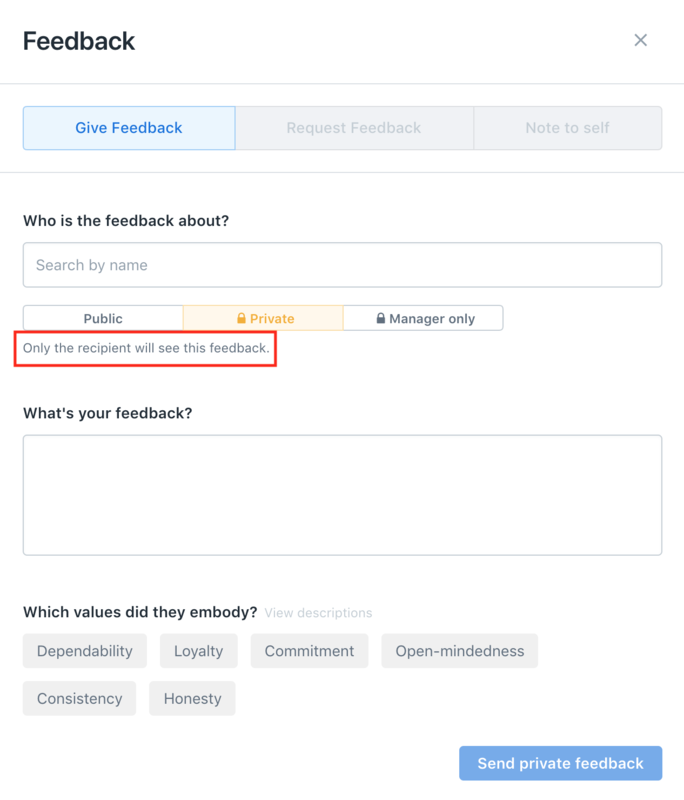 Employees can give each other private feedback directly through Lattice. As an administrator, you can determine who can see that private feedback. In the Admin page, go to Feedback, Settings, and navigate to the Private Feedback section. You will see that there are four permitted feedback types. Public and Manager only Feedback will always be enabled, while Private feedback and Private + Manager Feedback are optional. 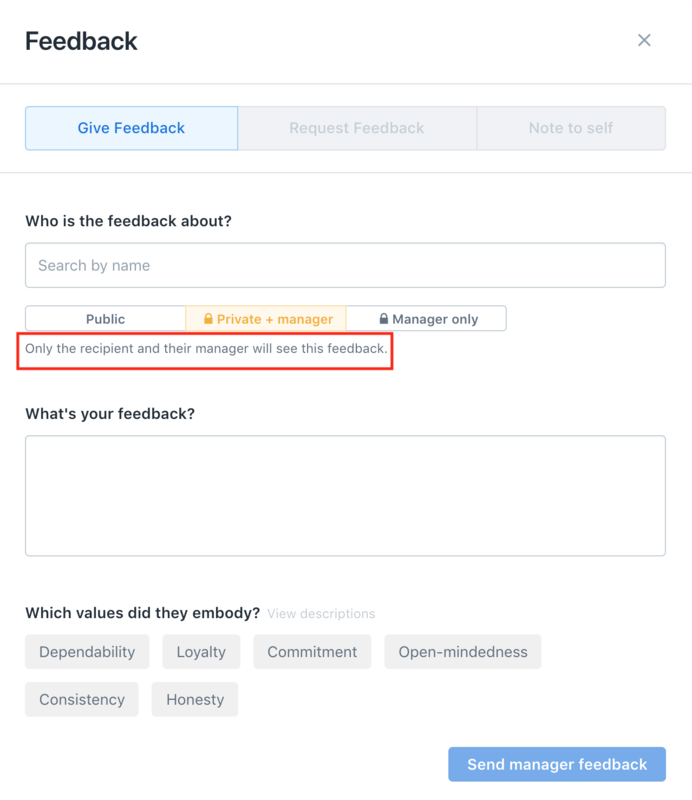 If you have both Private Feedback and Private + Manager Feedback turned on, you can choose who sees the Private Feedback.